Time to run the numbers, and take advantage of liberal tax laws written to encourage investments that keep your business running it’s best. A new laptop could be just the thing. Major brands like Lenovo, HP and Dell have 15-inch touchscreen models with fast processors that can help you be more productive, whether you’re in the office or working remotely—all for about $1,000. But did you know that $1,000 purchase only costs your business $650? Section179.org has lots of useful and free information about deductions. See how much you can save. All you need to do is purchase and put the equipment into service before your company’s year end. And be sure to check with your tax advisor or accountant to make sure you’re making the right choice before you buy. With an investment cap of $500,000, it may seem like this tax incentive is not meant for very small or small-medium sized businesses. But think again. 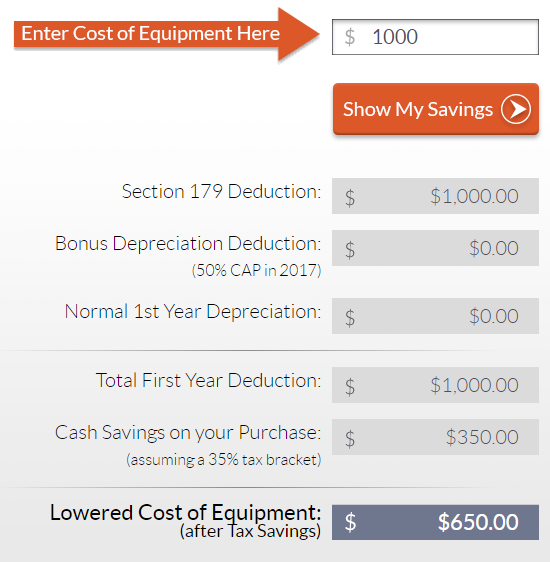 Deductions are a big deal for cash-based businesses, even those planning to spend a fraction of the cap. If you’re like other small businesses—33% in fact—you’re planning to upgrade printers and PCs in the next 12 months, according to a 2017 SMB survey. Medium sized businesses consider this a higher priority, with 41% reporting they plan to upgrade standard office technology. So why not do so while there’s still time to take a 2017 deduction? According to IDC, 33% of small businesses and 41% of medium sized business have plans to upgrade IT equipment. When upgrading PCs, it is a good time to replace other items, like routers, and printers. You can also add new business capabilities, like public Wi-Fi, while you’re at it. Depending on your setup, your existing private Wi-Fi network might be able to offer public or guest access safely, but it’s better to get the latest small-office wireless routers that are built to safeguard your business and give your guests the internet access they crave. One item you might overlook, when planning your end-of-year business upgrade, is software. Many people opt for free cloud based apps. But these apps are not always full featured. You can get the familiar productivity favorites you’re used to in the office, packed with sharing capabilities and cloud storage that make it easy to get work done across devices. Microsoft offers several suites designed for home offices or professional organizations. These range in price from $200-$400 per computer. Got a waiting room? A new flat screen TV should be top of mind when upgrading your standard office technology. Giving your customers a comfortable place to wait for car repairs or scheduled appointments plays a huge part in customer satisfaction scores. Travel to customer offices frequently? You can make a big statement at your next presentation with a a mini pocket-sized multimedia projector for $228—that’s 77% off retail with pre-Cyber Monday pricing. Many online retailers have already posted deals pages with hundreds of items already marked down. Amazon Cyber Monday deals homepage is just one example. You can even filter to specific categories like computers and accessories. If you shop wisely before end of year, you could transform your 4-person office for a fraction of what you’d expect. 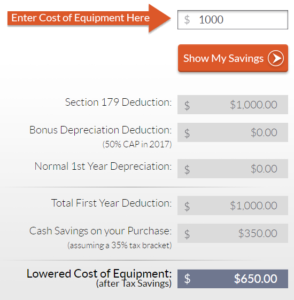 With a Section 179 deduction, you can save $1,325.80. Your total cost for a whole new office would be $2,462.20. If you’re open for business five days a week, 52 weeks a year, that cost comes out to be $9.47 per day. For less than $10 a day you could make your small office a well-oiled machine. Faster internet is a key component in computer performance. Frontier Business Internet FiOS 50Mbps package is a popular choice with small businesses. It provides ample bandwidth for multiple users and at $89.99 per month, it won’t break the bank. Check availability in your area—and you might even be able to lock in a lower price during deal season.